Very Very Vicky: Concrete Ideas for The Coral Cottage! Do you have lots of time and patience? Yes? Then maybe you should renovate a beach cottage! The Coral Cottage is a cement structure--both the outside and the inside walls are cement block, a great insulator but not so beautiful (at least to me). 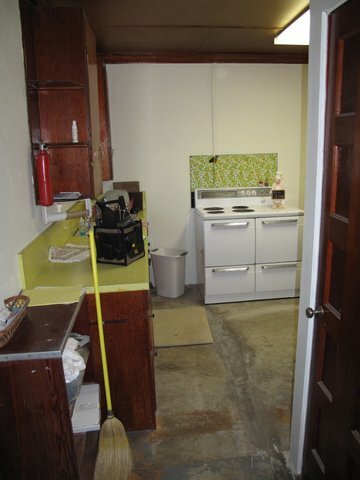 Do you see the covered electrical wiring coming down the wall to the stove? Here's a different view showing the cement floors. I love the old stove. We decided to keep it and paint it if it is in good working condition. 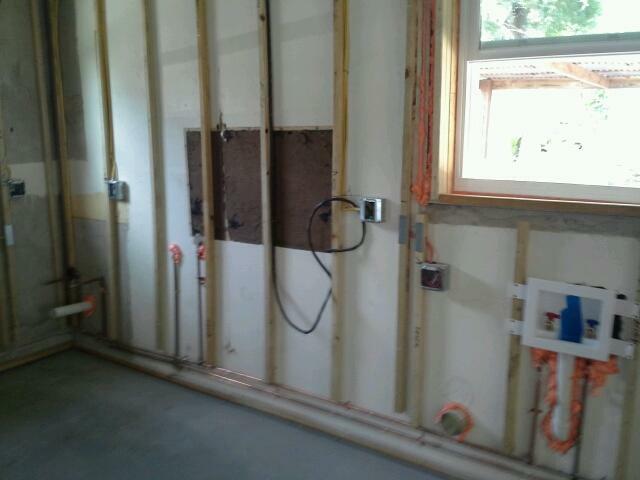 After all of the wiring and plumbing work was completed, insulation was added and finally walls. At each step there was a city inspector who had to sign off to give permission to move forward. 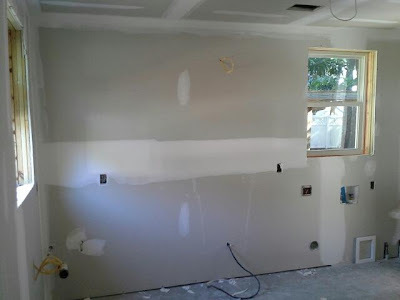 I really wanted to use wood beaded board for the walls and ceilings but the budget and the 50% Rule prevailed (see this post for an explanation) and we went with drywall instead. This process of wood strips, rewiring, and plumbing repairs (when applicable) was followed throughout the house. Next week I will show you how the kitchen looks with new cabinets. It is starting to shape up! I'm glad I didn't have to live in the house through this reno project. Have you ever lived in a house while renovations were going on? What was it like? Let me see your feedback--your comments make my day!